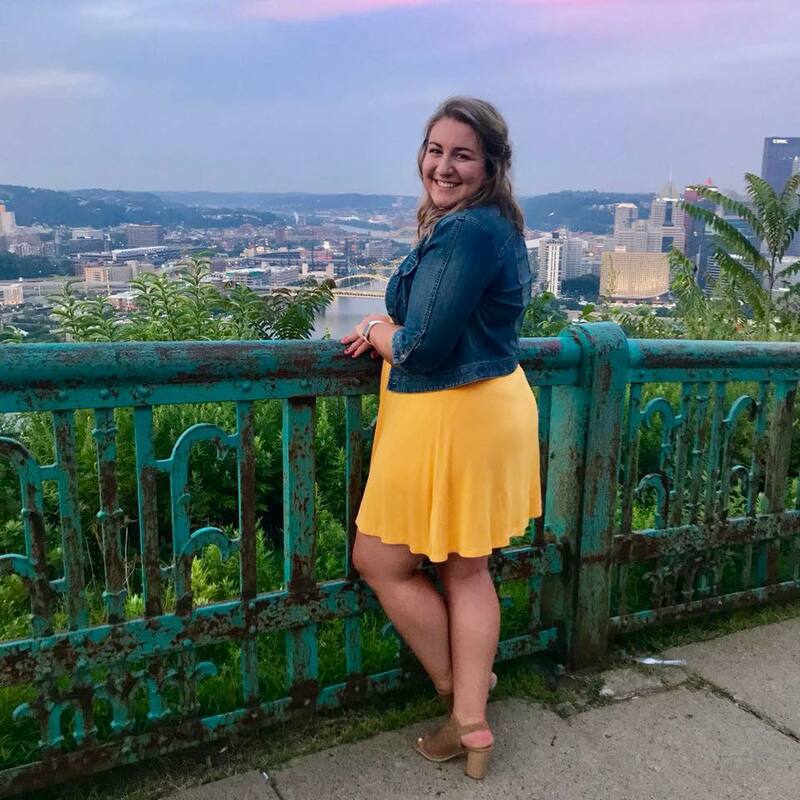 Steph is a senior Chemical Engineering major from Exton, PA. She has been an active member of the Upsilon chapter since her freshman year in Spring 2016. She absolutely loves working with her sisters in A.O.E. and is passionate about promoting diversity in engineering. ​Apart from A.O.E. she is heavily involved as the Head Coach at the Math Success Program, which provides fun, free math help to all students at the University of Maryland. 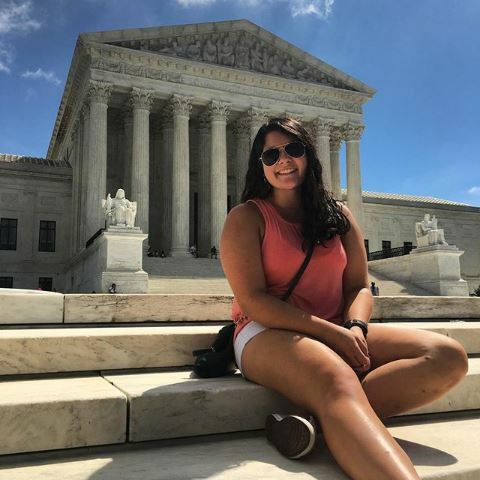 She is also a member of the University Honors Program, the QUEST Honors Program, Omega Chi Epsilon, and was a member of FLEXUS: The Women In Engineering Living and Learning Community. Whether its attending events for a club or A.O.E. or exploring the cities that surround us, Steph is always finding ways to stay busy and have fun during her time at UMD! Sarah is a senior Chemical Engineer with a minor in International Engineering from Sparta, NJ. She has been an active member of the Upsilon chapter since her freshman year in Spring 2016. Beyond A.O.E., Sarah is involved in various activities across campus: she works as a SEEDS mentor for newly admitted students to the engineering school and also works as an Ambassador for the A. James Clark School of Engineering giving tours and information to prospective students. 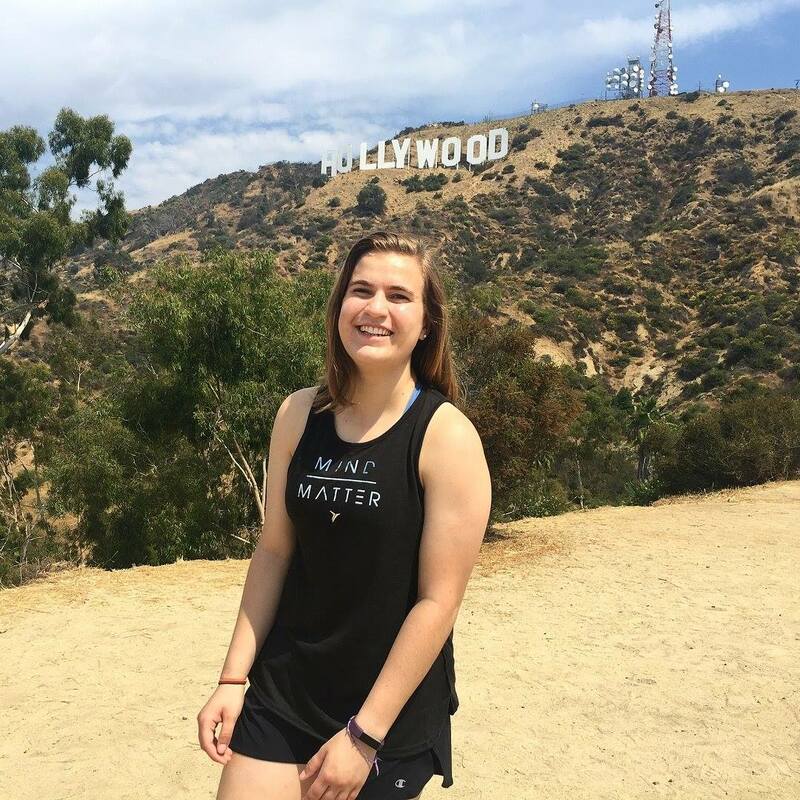 ​Outside of engineering, Sarah works as a tutor for NCAA student athletes on campus and also loves playing on her Club Softball team as well as various intramural sports teams. Sarah is very excited to be able to give back to the sorority by working with seven other amazing women on this year’s executive board! Theresa is a senior Fire Protection Engineering major with a minor in Engineering Leadership Development and is from Annapolis, MD. She has been an active member of the Upsilon chapter since her freshman year in Spring 2016. 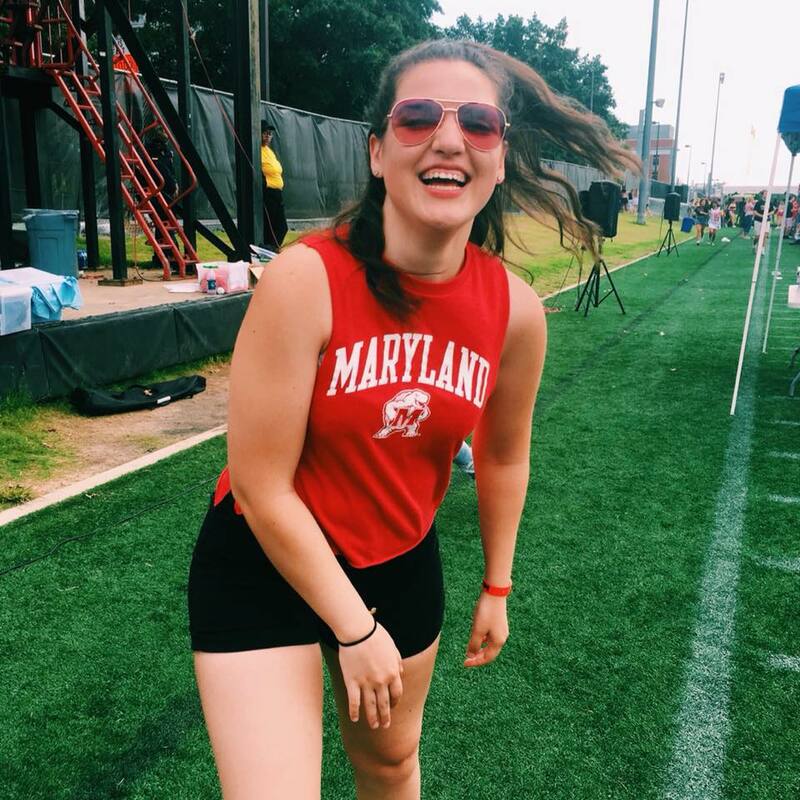 Outside of A.O.E., you can find her doing things all over campus, from riding horses on the Maryland Equestrian Team to giving lab tours to prospective Fire Protection Engineering students. She is so excited to work with this year’s board and make this a great year for all the sisters in the chapter! Jill is a senior Bioengineering major from Bel Air, MD. She has been an active member since her sophomore year in Spring 2017. Outside of A.O.E., Jill is a member of the Bioinspired Advanced Manufacturing lab. She is also an active member of the Guide Dog Foundation where she helps raise future guide dogs. Her current guide-dog-in-training is a black lab puppy named Pretzel. While Pretzel loves treats and his toy tire, Jill loves Chipotle and Pretzel. Besides hanging with puppies every day, Jill loves to work out, read, and watch Netflix. Jill is very excited to be on board and excited to work with the other beautiful sisters on board! Sara is a senior Bioengineering major from Abingdon, MD. She has been an active member since her sophomore year in Spring 2017. Outside of A.O.E., Sara is a member of the Biomedical Engineering Society. She is also an avid Maryland Men's Basketball fan and has only missed three home games since her sophomore year. If you're looking for Sara on sunny afternoon you will either find her studying in AJC or taking a nap in her apartment. Some of Sara's favorite things are The Office, The Princess Bride, Target, T.J. Maxx, thrifting, mozzarella sticks, dogs, and her Betta fish Natty Boh and snail Bud. Sara is a simple gal who lives a simple life and loves hanging out with friends and watching movies. She is so very excited to work with such amazing sisters on board this year and can't wait to see what we accomplish together! Carli is a senior Mechanical Engineering major. She has been an active member since her freshman year in Spring 2017. Lucie is a junior Electrical Engineering major from Bethesda, MD. She has been an active member since her freshman year in Spring 2017. ​For fun she likes to draw, paint, or go rock climbing!! She played trumpet in UJB her freshman and sophomore year of college. She also works in the Neutral Buoyancy Research Facility on campus, coding for robots. She is excited to work with the rest of the board this year and go to the fun events they plan! Caitlin is a junior Mechanical Engineering major from Bethesda, MD. She has been an active member of the Upsilon chapter since her sophomore year in Spring 2018. 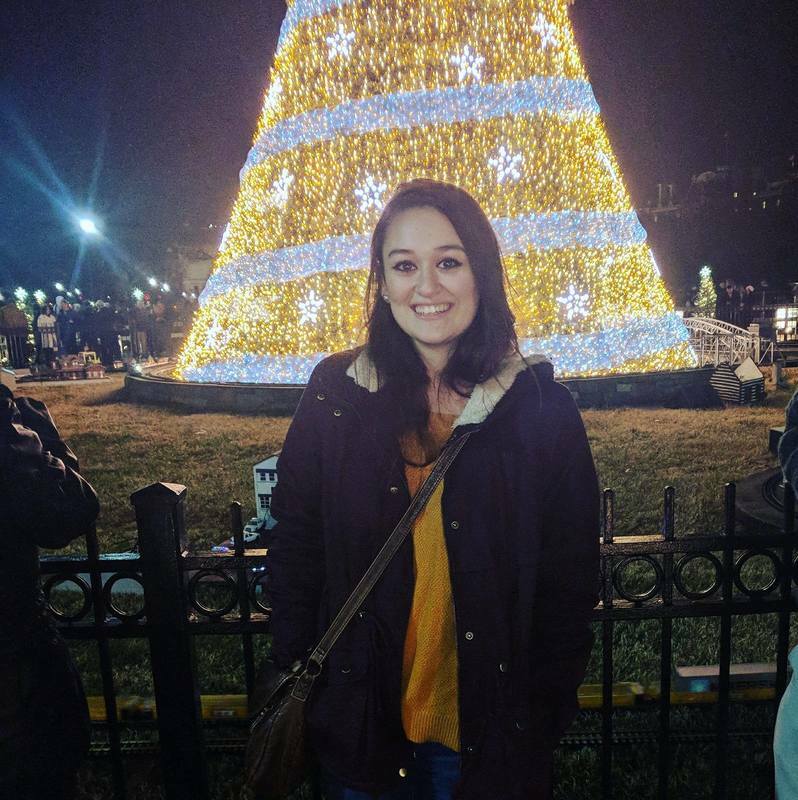 Beyond A.O.E., Caitlin is the Vice President of Fundraising for the Maryland Equestrian Club and is a member of the American Society of Mechanical Engineers. Her favorite activities include horseback riding, snuggling with her dogs, and reading a good book on a rainy day. Caitlin is very excited to work with this year’s incredible board members! ​Janette is a senior Bioengineering major from Ellicott City, MD. She has been an active member since her sophomore year in Spring 2017. ​Outside of A.O.E, she is involved in the QUEST honors program and the Clark School Ambassador organization. Outside of engineering, Janette loves playing intramural sports and working out with the club boxing team. She thinks the board this year is going to be an amazing experience and is looking forward to see the things they come up with!